This card has chewed through games like children going through a bag of Haribos! I owned a GTX 980Ti Hybrid before this card, and thought the performance was amazing, but this card just blows it out of the water, especially if you overclock the thing. I managed to get a nice +200 core, and +300mhz memory overclock using MSI Afterburner, effectively giving me speeds of 2101mhz on the core, 10600mhz on the memory. The founders edition cooler of this card was sufficient at first, and to be honest, if you are not planning on overclocking this thing, that may be your best route as I did find it to be pretty quiet. Certainly a lot more quiet than the old GTX 980ti reference blower. I am getting crazy performance numbers in games I thought I would never see gains, one of those games being Homefront: The Revolution. I was going down in to the mid 70s, usually hovering around the 80s frame rate wise with a 980ti, but with this GTX 1080 I am averaging around 100-110fps, and it dips down to high 80s-90s at worst. The only negative I have about this card is, well, the stock cooler. This founders edition cooler is good for basic use, or for those people who don't feel like overclocking. But people like me who like to squeeze as much out of these cards as possible run into problems as throttling is much more evident in this new generation of cards. I find even with aggressive clocks, the cards hold back their clocks in order to remain stable. 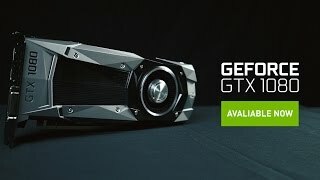 That is good, but it essentially means that the best alternative is to either buy an aftermarket card (which are hard to get as well as stupidly overpriced), or find a watercooled version, which are pretty much nonexistant unless you take the founders card apart, and slap your own solution on it. I did the latter, and I am more than happy with the results. Of course, I did it without damaging the card whatsoever, so anyone wanting to do this will need to take care as some of the screws that come with this card can be tricky. Overall, I am pleased with the product, and the 8gb of VRAM is a nice added bonus!